I’ve been working on The Ella Zoo for 12 years. Granted, I really didn’t know it was going to be a book until 10 years ago. But still, it’s been a long, persistent path to get…to get to what? Near the end here, after the final poem was written, the illustrations complete, the book designed and then printed, I realized I wasn’t really sure what would mark the finish line. While there was real satisfaction in holding a printed book in my hand, it was my intent to share the book, to find its audience. Once produced and published, it was not time to pop the cork yet. A long road still lay ahead. The question was, at what point would I stop and celebrate my accomplishment. 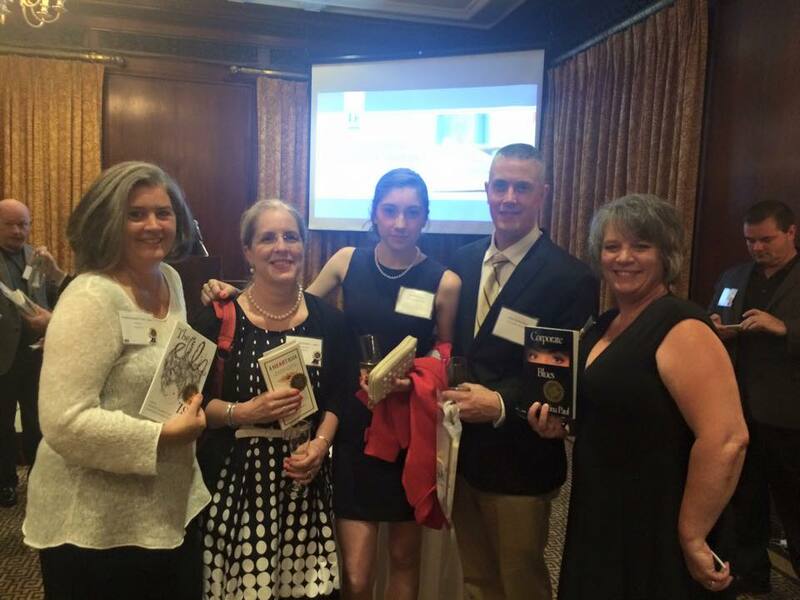 That opportunity came on May 27 at the Next Generation Indie Book Awards. 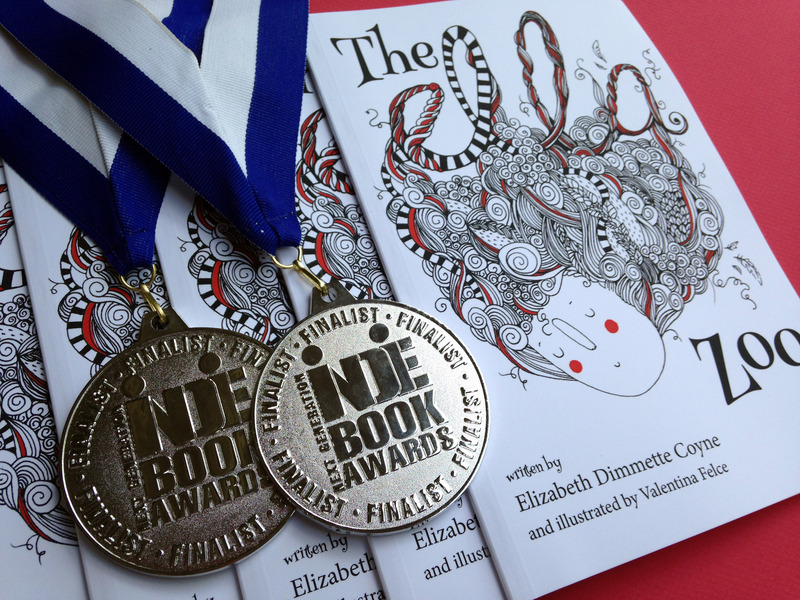 The Ella Zoo was selected as a finalist in 2 categories. Although I could receive my awards in the mail, I elected to drive to New York City and accept my medals in person at the gala reception. A road trip was the perfect way to commemorate this long journey and to arrive at a moment of celebration. But, with only 2 weeks notice and all of our funds invested in starting a new business not to mention self-publishing and self-marketing my book, I could afford neither guest nor airfare. I would arrive solo. Still, I was more than willing to toast myself to the best of my ability. Well, I needn’t have worried. 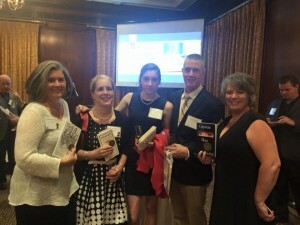 The minute I stepped in the door, veteran author and previous award winner Christina Paul walked right up, clinked glasses with me and offered the warmest most sincere congratulations I could imagine from a stranger. She tucked me under her wing, recommended I grab a chair with a good view quickly if I didn’t want to spend the evening standing and offered to take photos for my social media and blog posts. Everyone was like that. It was a tribe of kindred spirits, ready to celebrate ourselves each other’s accomplishments. I sought out some of the authors in my categories. I met Maria Knier author and illustrator of The Bezert and her husband. I was curious to find out more about their journey. Her website mentioned she had set the book down for many years before picking it up again and finally publishing. I also met Akiko Yabuki, author of Ishi: Simple Tips from a Solid Friend and had a chance to take a closer look at her book. I knew immediately, Ishi was ideal for my son and other children on the autism spectrum. She kindly inscribed the title page to my son and we exchanged books as gifts to each other. I heard publishing war stories, tales of the advantages and trials of self-publishing, tips about twitter and so much more. Seldom have I attended a gala where I felt so warmly and enthusiastically received. The Awards Chairperson didn’t even blink an eye when, after she draped my medal around my neck, I leaned in an exclaimed, “selfie!” It was a fun night, a night to discover comrades who had also taken up the pen, a night to celebrate an independent path but I hardly found myself solo in this moment of accomplishment. We shared it, all of us. 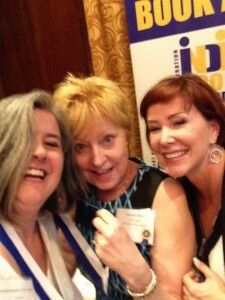 At Next Generation Indie Book Awards Gala with other authors celebrating together!